Titus Health Care is exclusive distributor of copper IUD’s in the Netherlands for Eurim Pharm GmbH and OCON medical. 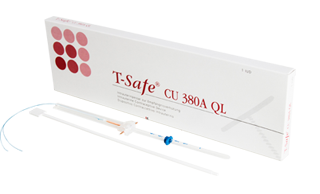 We take care of the complete registration, distribution, communication and sales of T-Safe® (TCu 380A), Multi-Safe® (CU 375) short, Multi-Safe® (CU 375) copper IUD’s and the IUB Ballerine® to wholesalers, pharmacies, gynecologists, general practioners, midwives abortion doctors and women. Since October 2010, the T-Safe copper IUD is available for Dutch women. The T-Safe copper IUD is a long-acting, reliable and hormone-free contraceptive method, ideal for women who want to maintain their natural cycle. The side-effects, experienced with T-Safe, are usually minimal. According to the Dutch Association of General Practioners (Nederlands Huisartsen Genootschap), T-Safe is the most reliable copper IUD. 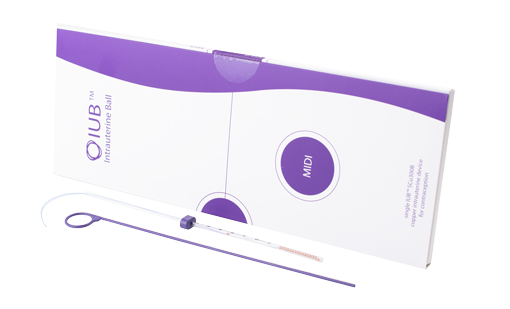 The T-Safe is the only IUD registered for use up to 10 years. All information about the T-Safe can be found on www.t-safe.nl. 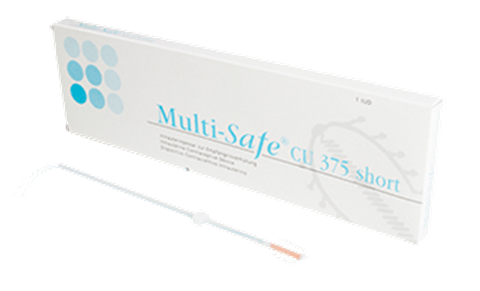 The Multi-Safe CU 375 short copper IUD has been available on the Dutch market since 2008. This smaller version of the copper IUD is suitable for women that are not eligible for the T-Safe IUD, for example women with a smaller uterus. The Multi-Safe CU 375 short is registered for use up to 5 years. All information about the Multi-Safe short can be found on www.multi-safe.nl. The copper IUD Multi-Safe CU 375 is available on the Dutch market since March 2016. The Multi-Safe is a generic version of the discontinued Multiload-Cu 375, with an identical size and amount of copper. The Multi-Safe is registered for use up to 5 years. The Ballerine® SCu300 IUB copper IUD is available on the Dutch market since April 1st 2019. This IUD has a very narrow insertiontube (only 3.2 mm) and is therefore particularly suitable for young nulliparous women. Due to its unique and flexible 3D shape Ballerine is a great alternative for women that might not respond well to other copper IUD’s. The Ballerine® SCu300 IUB is registered to use up to 5 years. The Ballerine® SCu300 IUB is registered to use up to 5 years. All information about the Ballerine in the Netherlands can be found on www.ballerine.nl.